With more than 400,000 deaths, per year, in the US estimated to result from cardiovascular arrests, health experts believe that if more people had the proper training in CPR, more lives could be saved. In an effort to change the narrative, the AHA focus on dedicating their services to equip the community with various skills in CPR and ECC. However, they can’t do it alone – that’s where their network of an estimated 350,000 trained AHA instructors, who are available in more than twelve languages, come in. With this extensive network of volunteers and partners around the world, they can have a large impact on the art of CPR and ECC, and, in turn, make the world healthier. trained instructors across the globe. The AHA publishes guidelines on CPR and ECC which form the foundation of the lifesaving protocols used by healthcare centers, hospitals and companies all over not just the United States, but across the globe. At the AHA, in partnership with leading heart and health organizations globally, they gather and review current resuscitation science and choose what to publish in their guidelines, aimed at teaching people how to save lives. According to research, the AHA CPR and advanced cardiovascular care resource materials assist more than 18 million people globally, among them caregivers, healthcare providers and the community members instrumental in saving lives. 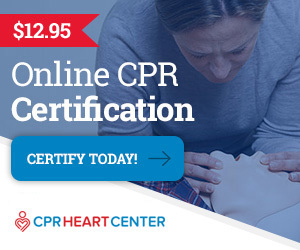 For those with the desire to gain information about CPR and ECC, CPR Near Me offers the perfect guide on where to find the nearest CPR learning center and how to access the CPR training online, along with offering various certification courses for Basic Life Support knowledge and other CPR related certifications. Read on to find out more about the variety of programs offered by the AHA. Continue reading reading to learn more about American Heart Association CPR and what they offer. The AHA offer a broad range of training and education for anyone interested in learning lifesaving skills. The AHA’s largest range of courses are for healthcare professionals, with Basic Life Support, Advanced Cardiovascular Life Support, STEMI and Pediatric courses on offer, as well as others. See the section below for more detailed information about these courses. 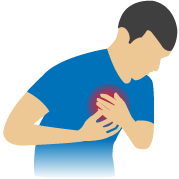 Targeting those with no medical expertise, but who need a course completion card, Heartsaver courses come in a variety of combinations, teaching: CPR, Automated External Defibrillator (AED), First Aid, Pediatric First Aid and Bloodborne Pathogens. Students spend the whole course with an individual instructor in a classroom, giving them the benefit of being able to interact with the instructors in person and have any questions answered immediately. These classes provide a better option for people who learn more effectively in a classroom setting with other students. AHA instructors administer the theory portions of the course and the hands-on skills practice and testing. Here, students experience some classroom learning alongside eLearning: students get direct online access to materials, then a hands-on session where they meet with instructors for practical experience. Blended classes can reach students in different environments and offer different learning styles – by combining the flexibility of online learning and hands-on practice, students gain the benefits of both types of learning. The AHA offer online classes where students can learn at their own pace and convenience – the only thing you need is an internet connection. CPR Near Me helps you find a center near you so you have the chance to learn vital skills and gain online certification, also ensuring you have access to all the materials you need to excel. At CPR Near Me, we are dedicated to helping you find CPR training providers near you, such as the AHA. Using location technology and listings services, we provide high quality profiles of lifesaving training providers, so you have all the information before you make your choice. Any student can access the learning materials for the various courses by purchasing them online from the AHA’s eLearning portal – it’s a one stop shop for complete, blended and online course materials, as well as other journals and publications you can get on contacting the AHA. Alternatively, you can visit one of their distributors for any materials you need for your course, such as the Channing Bete Company or Laerdal Medical Company. Certification Is Up To Date? American Heart Association CPR: While anyone can enroll for CPR training, there is a particular type of training reserved for personnel with medical knowledge. The AHA Healthcare Provider CPR addresses high-quality CPR and equips the learners with deeper knowledge on how to take care of delicate victims, or those who need special care, such as disaster victims. With Basic Life Support training, the training reinforces the healthcare professional’s understanding of how valuable early CPR and defibrillation is to save a life before actual healthcare intervention. The learners get to learn how to perform CPR safely, relieve choking and gain insights on how to use AED and understand the role of the individual link in the chain of survival. This advanced CPR training enhances the healthcare provider’s skills in noticing and treating a cardiac arrest or other heart-related emergencies. The training also allows the healthcare professional to earn their American Heart Association certification for the course completion, which may help them secure jobs. Performing CPR on infants requires careful examination and particular skills to handle them safely. American Heart Association Healthcare Provider CPR equips care providers with the various necessary skills to perform safe CPR on infants, children, and adolescents. The training also teaches the providers about core competencies to assess risk patients and the actions to take to ensure they are safe. Another way providers learn how to perfect their CPR skills is the use of HeartCode, a web-based instructional course for health providers. The course uses eSimulator tech that allows providers to assess and treat patients in a virtual healthcare setting. Through the simulation, students get a chance to demonstrate their skills and knowledge on CPR and ECC, which provides a way for instructors to observe their decision-making capacity directly, in real time. 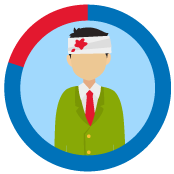 With stroke identification on the same level as cardiac arrests, it’s important that health providers learn how to identify a stroke in a patient and curb it before it spreads further. The AHA Healthcare Provider CPR offers training solutions for stroke identification and enables providers to discover quick and efficient ways to identify and treat a stroke, as well as giving them the necessary information to improve ongoing care for patients to increase quality of life. Since the AHA cannot grant in-person training to everyone in the whole world, the organization offers online classes and access to online materials for the numerous learners globally. AHA eLearning offers blended learning courses aimed at ensuring the students do not compromise on flexibility and convenience during their learning. By registering for AHA eLearning, learners get a chance to take up courses online, complete them and get certification all in the comfort of their homes. To access purchased OnlineAHA eLearning courses, learners need their 12-digit alphanumerical key. You can find the key and certify with American Heart Association CPR online by accessing their page. Who can use AHA eLearning? While anyone can use AHA eLearning, their online courses especially benefit organizations or individuals who are international and cannot access any training center near them. 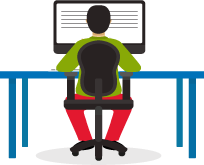 Companies can enroll their personnel for online classes to ensure they learn, while at the same time staying flexible enough to perform their day to day work duties. 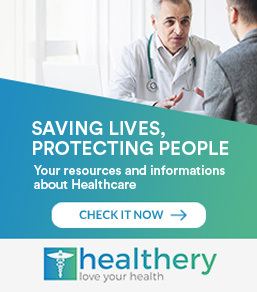 Healthcare organizations particularly benefit from the online training, since some of their personnel work in remote areas and getting them to training centers every time may hike up costs – not forgetting the possibility of messing up scheduling. AHA eLearning allows organizations to overcome the obstacles in scheduling, reach and diversity of learning styles. Being a world class health service provider, the AHA ensures that their learners access the latest and most up to date ECC science from their resources, to ensure they are well equipped to save lives. All students across the globe have access to the same materials, so the quality of education does not vary with class attendance. Online access allows everyone equal opportunity to acquire high quality education. Apart from time flexibility, students also have the comfort of completing the courses at their own time and convenience, as long as they have a secure internet connection. eLearning is far more cost-effective than class training for people who are not close to a training center. With the online classes, healthcare providers can spend more time with their patients, while, at the same time, learning useful skills to improve health – workers don’t need to compromise their duties and overall job productivity to learn lifesaving skills. On average, students retain half of the material they learn, and the classroom is only as effective as the instructor. However, with online learning, the absence of instructors to break down things down for the student means they have to figure out things for themselves, and hence their retention rate increases to 75%. their level of expertise and skill before certification, but with enough preparation and practice, a learner can easily pass the exam and get the necessary certification. Students can find a test center through the AHA eLearning portal, or, alternatively, you can contact CPRNearMe for guidance on the way forward. Our support team is always ready to help you locate a training center near you. American Heart Association CPR: The AHA CPR test involves a 20-30 minute written test to examine the student’s ability to remember learned concepts, facts and ideas, and their capabilities to apply them in presented real life instances. This is followed by a skills test, which is the real determining factor of how good the student is. The skills exam typically requires a candidate to showcase high-quality CPR knowledge and competencies on a mannequin, simulating a live human. The evaluator checks whether the student knows the number of compressions needed for a certain period during CPR and how to perform them. The evaluator also observes the student’s ability to call for and use AED fast enough, along with incorporating their knowledge about substitute breathing techniques. For those taking online classes, the test may turn out a little differently. While there are still written theory tests, the skills assessment tests instead involve video conferencing with an evaluator, who takes you through all that you’re required to showcase. Although some training centers may offer the online courses without skills evaluation tests at the end, in most cases, many companies reject applicants who have not undergone skills test evaluations. Sign up for various free courses online to get a chance to revise on various CPR guidelines. 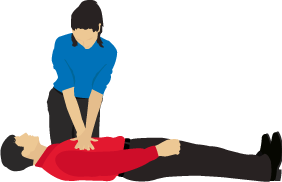 There are many organizations offering courses on CPR certification; you can register with one to get an opportunity to use their materials to revise. Take online first aid and CPR quizzes to test your theoretical knowledge. Try various free CPR tests available online to check how good your resuscitating ability is. Some of the materials online include medical emergencies and AED in case your test includes such topics. Ask first aid experts questions if you still have unanswered queries from your class sessions. You can also read first aid blogs to sharpen your skills and make yourself familiar with terms apart from learning how to apply skills to day to day experiences. Use CPR Near Me’s published online materials to gain more knowledge about how to handle your exams, or call our friendly customer support team. For many professionals, CPR certification is a requirement, and it’s also strongly recommended for many individuals performing caregiving tasks such as babysitting, or for primary caregivers who have loved ones with health issues. Apart from satisfying the requirements of your employer, the CPR certification provides people with the ability to save lives and use AED when the need arises. CPR Near Me even goes a step further to make the certification process easier by offering easy and flexible online CPR and First-Aid, as well as Basic Life Support BLS certification classes, which ensure you learn at your convenience and get certified at the end of a day. The services offered by the training center come at no extra charge; you pay after course completion, and you get your certificate immediately, meaning there is no delay involved before you get certified. Also, your certificate will reach you anywhere you are; our centers offer free handling and shipping, to ensure full customer satisfaction. A CPR certificate gives you an advantage when emergency situations arise. You can perform basic first aid before the actual help arrives and, in the process, save lives. According to the AHA, if a majority of people were able to perform CPR successfully, deaths resulting from cardiac arrests could be reduced by up to 50%. Performing CPR on the victims increases their survival rates by 40%, and could keep them alive until the ambulance arrives. While it’s possible to watch videos about CPR and how to perform them, it’s much different when you get to learn how to do it properly from a certified instructor. One thing CPR certification assures is that the student had high quality training before they were awarded their certification. When one holds a certificate for CPR knowledge, there is a sense of empowerment that accompanies it. Holders of the CPR certification gain confidence which they can then apply in other areas of their lives. The ability to save lives acts as a powerful tool, especially for your peers, parents and family alike. With children being notorious for putting objects in their mouths that could result in choking, possessing the ability to save a child’s life makes you a valuable person in the family and community alike. While your skills at CPR remain intact, your CPR certification does not last forever and will need renewing to stay valid. Depending on who your provider is, your certification will be valid for approximately two years before it expires and you need to renew it again. If your job requires you to work to maintain your CPR certification, you should think about renewal in the last six months running up to the expiry date. Anyone doing CPR should stay certified, especially if they work in life sensitive areas, for example, lifeguarding or health work. Also, it’s a requirement by OSHA for people working in areas where lives may be at risk to have the necessary CPR certification. In some cases, depending on the work detail, failure to have the certification or to have an expired one may lead to job termination. American Heart Association CPR provides renewal and re-certification CPR. American Heart Association CPR: As mentioned, every few years, the American Heart Association CPR certificate expires. To renew your CPR certification, you need to take another training course, in which you will be treated like a new student. To successfully renew your certification, you have to finish the required online AHA instructor essential course. to respond to an accident call. The American Heart Association offer two different versions of this program, one for learning about adults and children and one for learning about infants. 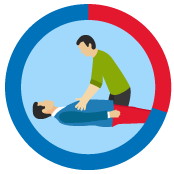 Learners pick up basic lifesaving skills in an estimated twenty minutes from the comfort of their homes or workplaces, for example basic first aid to resuscitate or help a choking infant. This program teaches lifesaving skills: hands-only CPR for adults, CPR with breaths and AED use for adults and children, infant CPR and and mild to severe airway blockage for all ages. This program offers the most hands-on practice for students in the shortest time possible. The program favors those who want to learn the lifesaving skills at a deeper level but do not want the whole course, so it’s great for new parents, grandparents, community workers and so on. The American Heart Association also has programs designed for schools training kits, which can be taught during one class period. Kids will learn CPR, AED use and choking relief, and is contained in a convenient wheeled bag so it can be moved from class to class. Why should you renew your certification? By renewing your certification, you get a chance to stay up-to-date with the AHA performance standard and guidelines on CPR. With the AHA always looking for new and emerging research in the field of CPR, when research shows that some practices need to get modified to improve their effectiveness, their practices get updated in line with the guidelines. Renewing your certification allows you to learn all the new guidelines and the expectations on you in such cases. Usually, it’s unlikely that you will get notified of changes to existing guidelines or new developments, unless you take another training course, so renewing your certification is an excellent way to stay up to date. American Heart Association CPR renewal: Many companies offer CPR certification renewal courses for their employees. 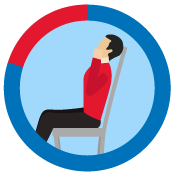 Normally, when a company needs their employees CPR certified, they find ways for them to have renewal courses as part of their emergency training. However, if your company does not offer renewal courses, there are a few other places you can do this. You can take an online course, choosing from the various online renewal courses available. However, for success when taking this route, make sure you take your time to research the quality of your provider to ensure you get the best quality, most accurate information. You can check with your local fire department for any openings for CPR courses – alternatively, your local hospital or chamber of commerce may have renewal courses available for the public. You can also contact CPRNearMe – our website can easily help you find out the nearest place you can go for CPR certification renewal course. While you may not find the same institution you got your initial certification in your current location, it doesn’t mean you can’t renew your certification by taking a course at the nearest CPR training center. 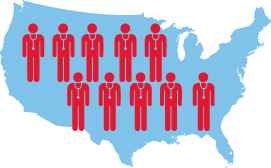 Most of the training centers are open to students who received training from other American Heart Association training centers. Your initial candidate application form. A copy of your current active Heartsaver and Basic Life Support provider cards. A copy of your skills test sheet and assessment from the previous training. A copy of the AHA and Heartsaver instructor course certification. After you present all your documents to the new organization, you must demonstrate exceptional skills in various areas in the first six months of the instructor program. 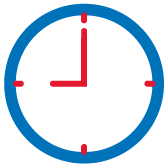 The new center’s personnel will take roughly 30-40 minutes to explain the procedures that will take place during the renewal course, and how they may differ from the procedures used in the previous test center you used. American Heart Association CPR: Just like any other organization, the AHA contains a list of rules and regulations to guide the students on how to conduct themselves and how to treat various situations. Among the lessons taught in the CPR and ECC classes, the students are expected to master the different guidelines to protect them and the victims they perform CPR on. The guidelines involve an integrated summary of the rules governing the practice. The students use the guidelines to determine what ethical practice is and what it is not, how to perform various resuscitation practices, when and how to call for help when the situation is beyond them, and many other efficiencies to guide them through any lifesaving situation thoroughly. These guidelines can can be accessed online on the AHA portal, or at your nearest AHA training center. Also, you can view the guidelines on updated American Heart Association circulations, order your copy of the eBook on the guidelines, or find them on media material or publications. American Heart Association CPR Guidelines: The guidelines contain an executive summary, evidence evaluation, ethical issues, and various other CPR and ECC guidelines. The web based guidelines also provide first aid guidelines, an overview of the current guidelines, information about the International Liaison Committee on Resuscitation and, finally, information about high-quality CPR. Why you should use the provided AHA CPR guidelines? By using the latest provided American Heart Association CPR guidelines, you stay up to date with the recent developments made in the practice and various ways the practice has become modified. In many instances, the guidelines released every year come with something new, and it’s in that process that you will know what has changed and what has not. The guidelines can inform you about new systems care, new limits on chest compressions, new guidelines for infants CPR and the various technology developed to aid you in practice, along with many other topics. By using the provided guidelines, you become protected by the American Heart Association in your practice since you use the guidelines they provided. In the case where a CPR might goes wrong and you’re liable to be sued, if you can prove you followed all the AHA-issued instructions and guidelines to perform first aid, you are protected by the AHA. This also gives you the feeling of belonging to the group. One of the best benefits of using the provided guidelines is that you get extra help on decision making in instances of a dilemma. While the guidelines may not tell you exactly what to do in a given situation, they provide you with a clear and easy to follow guide on some ways to approach and instance where your skills as a first aider are needed, offering best courses of action in tricky situations. American Heart Association CPR Cards: After the successful completion of your CPR and ECC training, it’s the responsibility of AHA or the center where you took your training to give you a course completion card, together with the certificate. American Heart Association CPR Card Replacement: If your card gets lost, becomes rendered unusable or gets destroyed, you should place a request for a new card to the training center where you got your training. It’s the duty of the center to issue you with a duplicate card. It is, however, important to note that the center may charge some fee for the replacements. However, before you decide to reach out to your center to request a new card, you can try out a few searches on your email to check whether there was an email sent to you with a link to your eCard. After you access it, you can fill out the details then send a request to your center for a replacement print card. You will need your training center’s information to access the link to fill out the details for a new card, which you may have forgotten, especially if it’s been a while since you took the class. In the first instance, make sure you write the details down and keep them in a safe location for if you need them in the future. What can do you do to access the center’s details when you can’t remember them? You could contact some of your coworkers or former classmates to check out the information about the center contained at the back of their cards – or, if your institution arranged for the training for everyone, then the institution should have the training center’s information. Also, you can refer to your student manual book from the previous classes to view the different information about your center. Another way to do it is to use the ‘Find course tool’ on the AHA or CPR Near Me websites to search for various training centers around the areas near where you took your training, in an attempt to find your center. Normally the information about the centers includes all the details you need to log into the portal. If you’re ready to take the next steps in gaining lifesaving skills and need to find a center to help with your training, CPR Near Me can help. Search CPRNearMe today for more information or to have any of your queries answered, or, earn you CPR certification online now. Hopefully this answer all questions you may have regarding American Heart Association CPR.